Art*o*mat® in Northern New Mexico: Now Featuring NEW Santa Fe Art*o*mat® Artist, Tiffany Peterson! 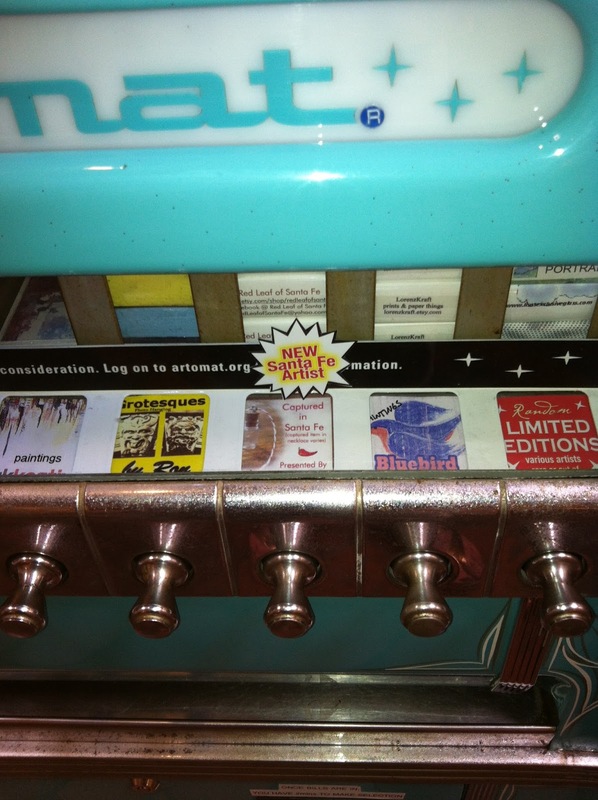 Now Featuring NEW Santa Fe Art*o*mat® Artist, Tiffany Peterson! Come get a Red Chile glass pendant by our NEWEST Santa Fe artist, Tiffany Peterson -while they last! It has been nearly 7 months since Art*o*mat® has debuted in Santa Fe and I'm so excited that some local artists have been submitting their work to the program! I'm proud to announce that Tiffany Peterson (Red Leaf of Santa Fe) has created some lovely and very "Santa Fean" Red Chile pendants for our Santa Fe Art*o*mat® machine. Real (and really HOT) red chile seeds and pods have been collected from her own kitchen ristra and placed into delicate glass vials with a ribbon for you to wear. Quick -get 'em while they're hot! 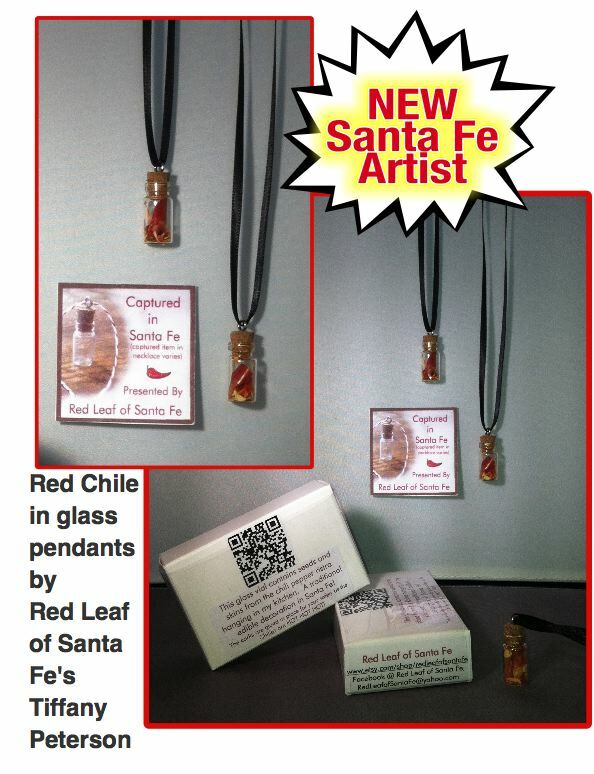 FEATURED in MAThilda: Tiffany Peterson's Red Leaf of Santa Fe Red Chile art pendants! Congratulations, Tiffany! I know you worked hard on these and now they're finally here. I think they're gonna sell out fast. Tell all your fans!